Tap questionable areas with a hard instrument and listen for hollow sounding dead spots. Probe suspect areas with an ice pick or sharp knife. Check areas where fresh water is likely to accumulate. 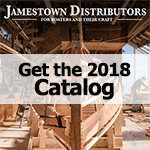 Particularly check the following: Spar checks, hatches, deck seams, transom, companion slides, checks in planking, toe rails, exposed end grain, stem, ribs, and stringers. For complete saturation and ultimate strength, in average type rot, it will require a volume of "GIT"-ROT approximately equal to half the volume of the rotted wood. The optimum temperature for applying Boatlife "GIT"-ROT is between 50Deg and 70DegF (10Deg and 21DegC). Only mix small batches (no more than 4 oz.) since the larger the quantity the greater the reaction and the faster the cure. After adding 1 part "B" to 3 parts of "A", shake vigorously for at least one (1) full minute (TIP: use a watch while shaking the bottle.) Once the two parts have been thoroughly mixed, a thermal reaction will begin to occur. Penetration is best immediately after mixing. When working in temperatures over 70DegF (21DegC), chill "GIT"-ROT overnight. At 70DegF, properly applied "GIT"-ROT solidifies into a tough resilient mass overnight. Allow one week for ultimate strength. Cold temperatures will slow the cure. When painting, check compatibility with paints. The mechanics of the actual treatment will vary for each case depending upon location and construction. Where rot is deep into a large member it is advisable to drill a staggered series of overlapping holes approximately 1/4" in diameter, 2" apart, slanting downwards. This will expose the necessary end grain and provide reservoirs for the penetration as shown here. In areas where sections of rot contain extensive holes where wood fibers are actually missing, it is recommended to mix sawdust with "GIT"-ROT and use it as a fill material. In areas such as transoms, stringers, and balsa core decking, drilling thru the fiberglass surface may be necessary. For transom repairs, you may drill vertically down through the transom, and then pour in "GIT"-ROT. For decking, drill thru the surface to treat the wood underneath. Holes left by drilling may be filled with a mixture of dry saw dust and "GIT"-ROT or a marine repair epoxy compound. Capillary action is the principal on which "GIT"-ROT works. Therefore, the most expedient way to apply the "GIT"-ROT is into the end grain of the wood wherever possible. To avoid trapping air in the middle of the rot always start at one end or on one surface and work progressively along. A considerable amount of patience is required during the actual penetration until complete saturation is achieved. This is determined when the reservoir holes fill and remain filled and the surface remains shiny. "GIT"-ROT will eventually cure in damp wood. However, "GIT"-ROT will not displace water. So wet wood cannot be fully saturated. Any reduction in the amount of "GIT"-ROT simply reduces ultimate strength. Dry the affected area as much as possible. Soaking with acetone will assist drying; however, be cautious of fire hazard. CAUTION: Reaction between part A and B will produce heat. Do not use in high temperatures. Avoid all external additional heat sources.